When it comes to low back pain, there are always three areas we focus on first and foremost. The triple threat: Quadratus Lumborum (QL), Piriformis, and the Psoas. Depending on the symptoms we will start working to release one or the other, but all three play a huge part in most chronic low back pain. Though coming in and getting treatment on dysfunctional muscle is the best option, if you have to wait there are some stretches that you can do as a preventative measure. Step 1: Lie on your back, either on the floor or a bed, to perform the hooklying stretch. Bend your knees with your feet still touching the bed. Rest your hands on your stomach. Place a pillow under your neck if you wish; this will not interfere with the stretch. Step 2: Cross your right leg over your left. Lower your knees slowly to the right until you feel a stretch in your right lower back and hips. Keep your shoulders on the floor or bed. Hold for five seconds. Step 3: Bring your legs back to center where they started. Switch legs and drop your knees slowly to the left. Hold for five seconds and bring your legs back to center. Repeat the stretch multiple times if so instructed by a physician. Seated Piriformis Stretch: You can alleviate the pain of piriformis syndrome without leaving your desk. 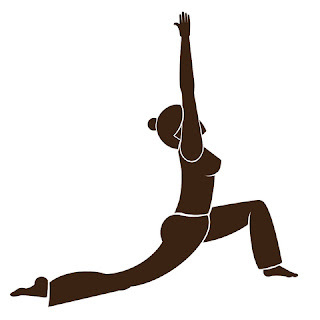 Simply place one foot on top of the other leg, and use both hands to press down against the thigh to open the hip. You can intensify this stretch by bending at the waist and bringing your chest closer to your leg. This stretch is particularly effective for anyone who has to sit for extended period of time. Lunging Stretch: The lunging stretch for your psoas starts with you assuming a standard lunge position. Your front leg is bent to about 90 degrees and your back leg is stretched behind you. Keep your back straight and move forward until you feel a stretch at the front of your hip. Twist your body around toward the side of your front leg if you want to feel more of a stretch.